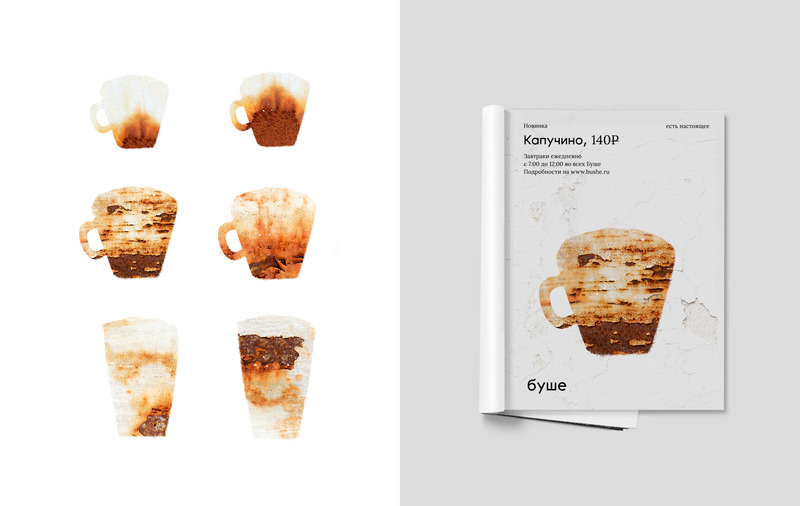 Suprematika Saint Petersburg handled the rebranding for Bushe. 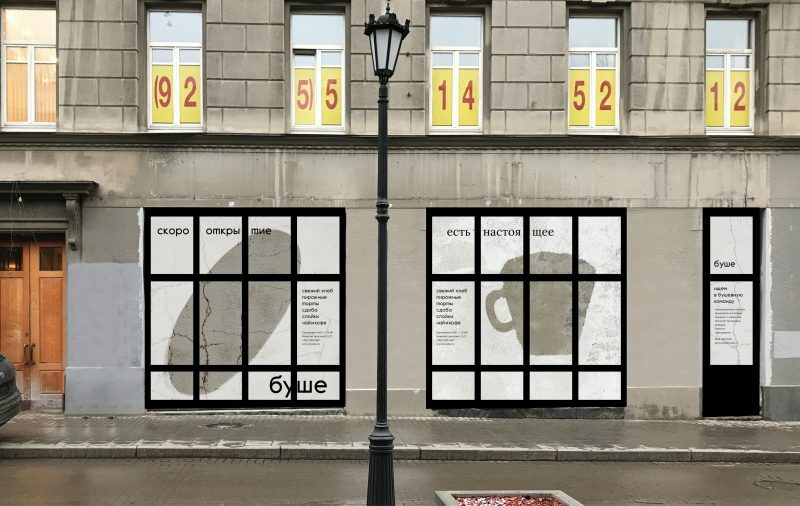 Bushe is chain launched in 1999 that has 41 cafes (1 in Moscow and 40 in Saint Petersburg), mini-bakeries and a perspective project – coffee laboratory with wine bar called CoffeeLab. Bushe intends to launch 2 more places in Moscow, from which one will have a new format. Because the chain was expanding and developing actively, the previous identity no longer represented the values of the company. 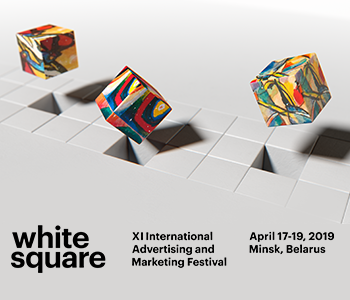 That is why bushe and branding agency Suprematika started working together since 2018 in order to create a new visual language for connection with customers using the image of Saint-Petersburg. bushe became one of the essential symbols of Saint-Petersburg as special city colors, people with their stories, architecture and gloomy weather. bushe’s philosophy is expressed in a simple formula “Eats/ It’s real” and prefers the content rather than the external gloss. A new laconic brand identity was created due to this philosophy . It’s based in city textures, mellow palette and black&white scripts. The color palette of interiors is supported by colorful graffitis and screens inspired by Saint-Petersburg street-art. Visual emphasis of city environment will be used for all kinds of printed products – posters, souvenirs, package, cards – and outdoor ads. 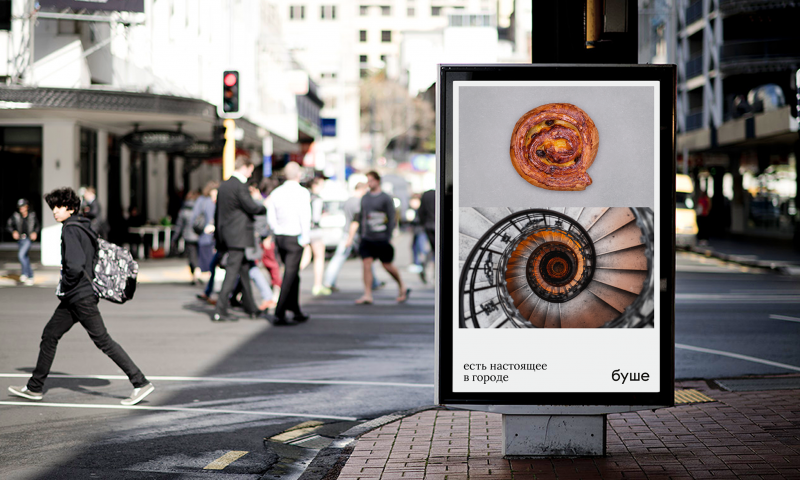 Outdoor ads of bushe will be different from the usual ad posters and will engage the entire city space, including the fronts of the houses. 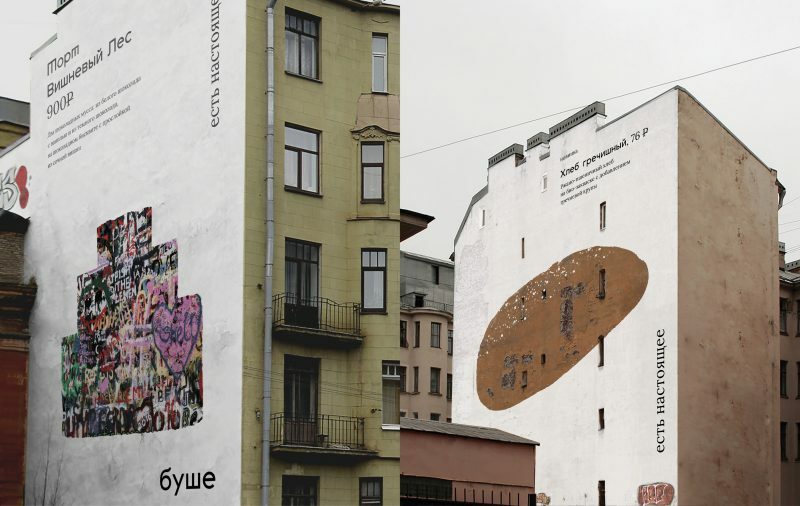 A daring guerilla ad appeared in Saint-Petersburg on 15th October. 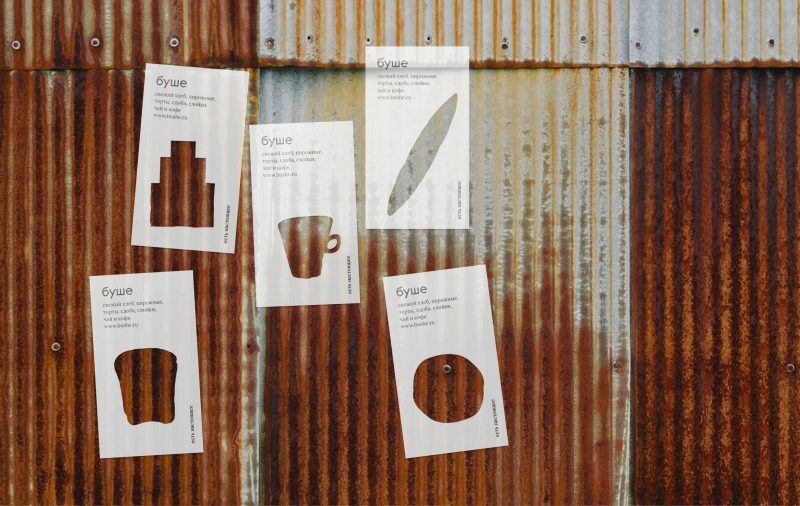 Using screens, bushe changed the details of the environment and made items look alike eatable objects such are a cup of black coffee, baguette or cake. 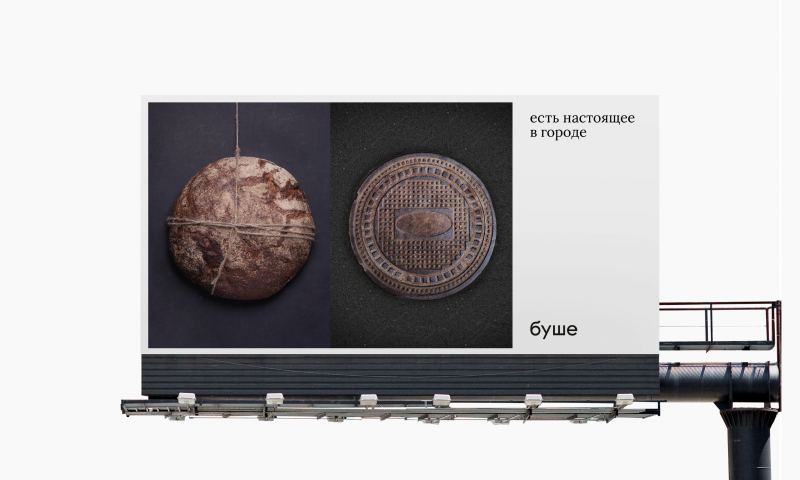 New brand identity is supported by an advertising campaign, created by Suprematika, where the tagline is punned by similarity of bushe products and inedible objects from city environment.